We've got your device covered. 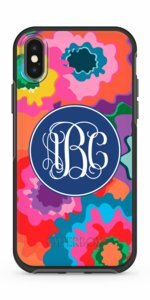 Boutique Me is the place to shop for exclusive monogrammed LifeProof cases and custom Otterbox cases for your new iPhone X, iPhone 8, iPhone 8 Plus, Galaxy S7 plus many other devices including the new iPad 5th Gen & iPad Pro 10.5”. 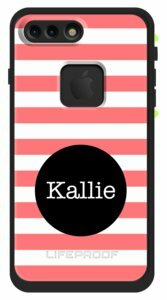 Customize your most trusted device with your own personal photos or artwork or customize one of our designer patterns and add your name or monogram to make it uniquely yours. LifeProof cases are the best-selling, most protective case on the market with water and drop protection unmatched by any other case on the market. Otterbox is the #1 phone case brand on the market and our custom Otterbox cases are the leader in customized phone cases – from the thin & stylish Otterbox Symmetry, to the customer favorite – the Otterbox Commuter to the most durable case, the Otterbox Defender. Our personalized cases and custom device skins are a customer favorite and so is our customer service from our online preview tool to our quick production time for custom products – you’ll be glad you chose Boutique Me to protect your device in style. 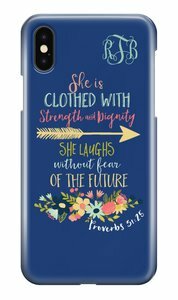 Our gorgeous, personally designed gifts don’t stop with custom personalized phone cases. Boutique Me also offers customizable home décor, office supplies, monogrammed clothing, car accessories and decals, and monogrammed gifts for every occasion. We can hear it now, “These are a few of our favorite things.” And they’re all personalized of course. Find the perfect present for a special someone in your life and make it unique with a personal moniker, monogram, or phrase. Whether you want to gift a memorable monogrammed tie or a customized phone case with your own uploaded photograph, you’ll receive a high-quality personalized product and superb customer service, all at a great price.